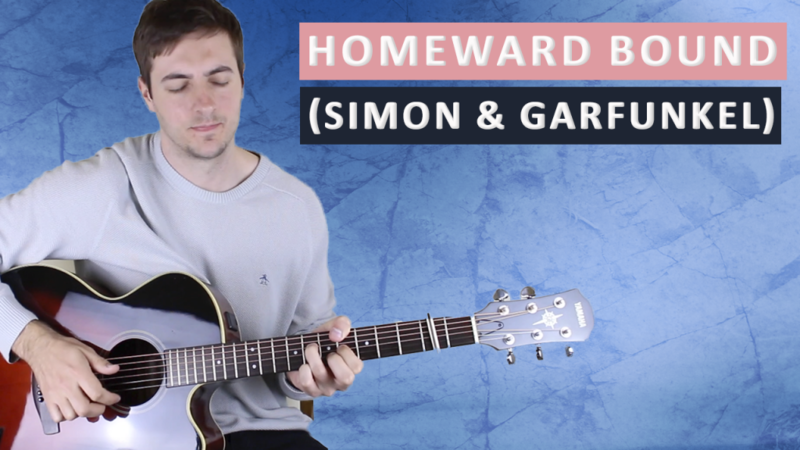 Scroll down for full video lesson (with tab) of Homeward Bound by Simon & Garfunkel. 'Homeward bound' is by American duo Simon & Garfunkel and was written by Paul Simon. The song was released on 19th January 1966 and peaked at no. 5 on the U.S Billboard Hot 100. It appears on their album Parsley, Sage, Rosemary and Thyme (1966). Homeward Bound is no. 32 on my Top 60 Fingerpicking Songs of ALL TIME list. If you've not seen the list be sure to check it out and sign up to my weekly email lesson so you don't miss learning any of these great fingerstyle songs. In past lessons we've learnt how to play 'The Sound of Silence' and 'The Boxer' by Simon & Garfunkel. While Homeward Bound will have its challenges, it is easier to play than both of those songs. What's nice about this tune is that once you've gotten past the intro it's just a short verse, pre-chorus and chorus repeated three times. The song is just 2:29 minutes long and mostly uses the same fingerpicking pattern throughout. The intro is really quite iconic and is instantly recognisable. It's mainly a series of double stops (two notes played simultaneously on adjacent strings) and is not too tricky to play. Into the verse now and the first four bars are very straight-forward indeed. 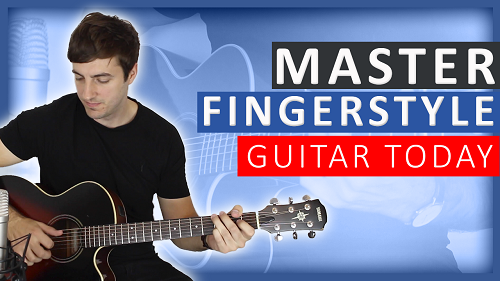 You can simply use just your thumb to pluck your way through the bass notes of each chord. Bear in mind that when this section of the song reappears after the chorus, Simon fills in some of the gaps with a few extra notes (see video lesson). Once you have the fingerpicking pattern down from the end of the verse, just carry it over into the pre-chorus and you're good to go. This part of Homeward Bound is a little tricky. You have to switch from strumming to picking out the double stops, it's kind of a hybrid version of the intro and pre-chorus. I've seen Paul Simon play it using a thumb pick, so you may want to experiment with that and find what works best for you. Beautiful song, thank you for the great tutorial. Would love to be able to download a GP file–these are so helpful for learning both the song and the music theory. I am trying work through many of these. I’ve been a Simon & Garfunkel fan for many years but never actually learned to play any of their songs. Can’t believe how much that simple little intro is making my smile! I love it! Thank you!